Advertising Standards Canada, the national self-regulatory body that administers the Canadian Code of Advertising Standards, recently launched its new process for handling competitive complaints. The new Advertising Dispute Procedure came into effect on February 11, 2019. 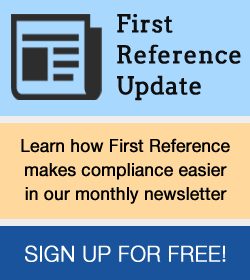 Compliance professionals — we need to talk about the Federal Trade Commission. The folks there are unhappy with the quality of your work. In its first enforcement decision concerning cryptocurrency, the Ontario Securities Commission permanently prohibited USI-Tech Limited from trading in securities or derivatives based on its promotion of cryptocurrency-related financial products in Ontario. The Open Compliance and Ethics Group (OCEG) recently published the 2019 OCEG GRC Technology Strategy Report. On February 26, 2019, the Quebec Department of Finance introduced Bill 13, An Act to amend the Taxation Act, the Québec Sales Tax Act and other legislative provisions. This Bill finally provided the draft legislation for the changes announced in Information Bulletin 2017-14, dated December 20, 2017, in respect of the Act respecting duties on transfers of immovables. One of the more difficult issues in contractual disputes is sorting out what rights and obligations continue to exist when a party to a contract breaches the terms of the contract. Broadly speaking, the party that is in breach of a contract is refusing to perform duties or obligations under that contract and, as a result, is repudiating the contract. Social Impact Bonds (SIBs) are an interesting part of the larger trend of ‘impact investing’ that has been rising in Canada and around the world in recent years. When something goes wrong, 99.999999% of the time it’s because somebody made a poor decision (at least in hindsight). The risks associated with a poor decision could have major ramifications. Bill S-228, “An Act to amend the Food and Drugs Act (prohibiting food and beverage marketing directed at children)”, has been undergoing legislative review since late 2016. It has been the subject of much debate and is still awaiting Royal Assent. The ISACA has traded in the 7-year-old COBIT 5 for COBIT 2019. This is the second of a 3-part series exploring COBIT 2019. Osler made a submission [PDF] to the OECD in response to its February 13, 2019 public consultation document on the possible solutions to the tax challenges of digitalization (the 2019 Public Consultation Document). Vince Dasta of Protiviti makes a good point (pun intended – as will be explained shortly) in Cyber Risk Assessment: Moving Past the “Heat Map Trap”.